Simple style with some modern touches, that’s what you get with the Born Gallatin. 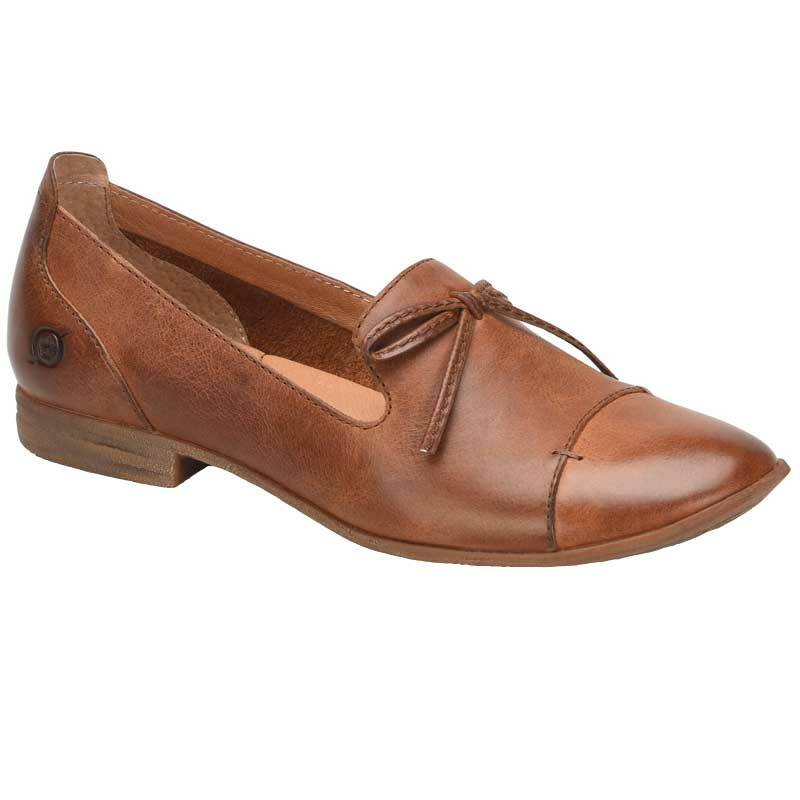 This tailored women’s loafer is crafted from full grain leather and has detail stitching and a leather bow to add a little extra touch. The leather sock liner offers a comfortable interior and the leather covered footbed features extra cushioning at the arch for added support. A steel shank creates underfoot protection while Opanka construction ensures a durable yet flexible bond. The outsole of the Gallatin is made of textured rubber for traction. A modern take on the classic loafer is just what your wardrobe has been looking for and that’s what you get with the Born Gallatin.